HEhehehe. len's having nightmare, rin drawing something~(singing). 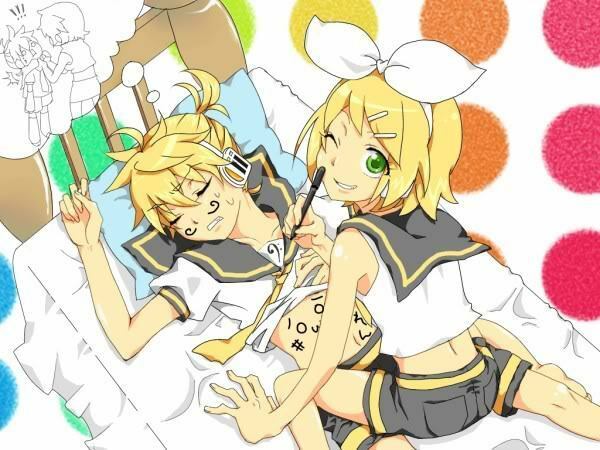 Wallpaper and background images in the Rin e Len Kagamine club tagged: kagamine rin len twincest.